Swimming holes for DC are presented here and without a map at this time. In Georgetown, Washington DC. 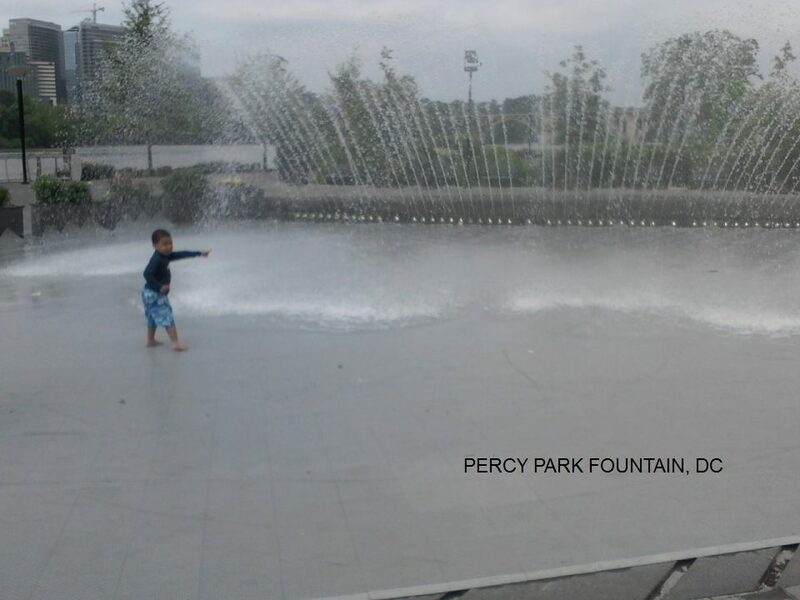 Great place for the whole family to cool off while visiting Washington DC on a hot summer day. On the Georgetown Potomac River waterfront in the Waterfront Park. Made for water play - safe and fun and free! Parking can be tough in Georgetown - recommend you go late in the day when you are hot and tired and some of the local folks have gone home. Poor metro access. From M St. NW in Georgetown, take Wisconsin Ave. south - down toward the river - the fountain is at the foot of Wisconsin Ave.. Park wherever you can. On the Anacostia waterfront, near Nationals (baseball) Park. 3rd and Water St. SE. Address: 355 Water St SE, Washington, DC 20003. 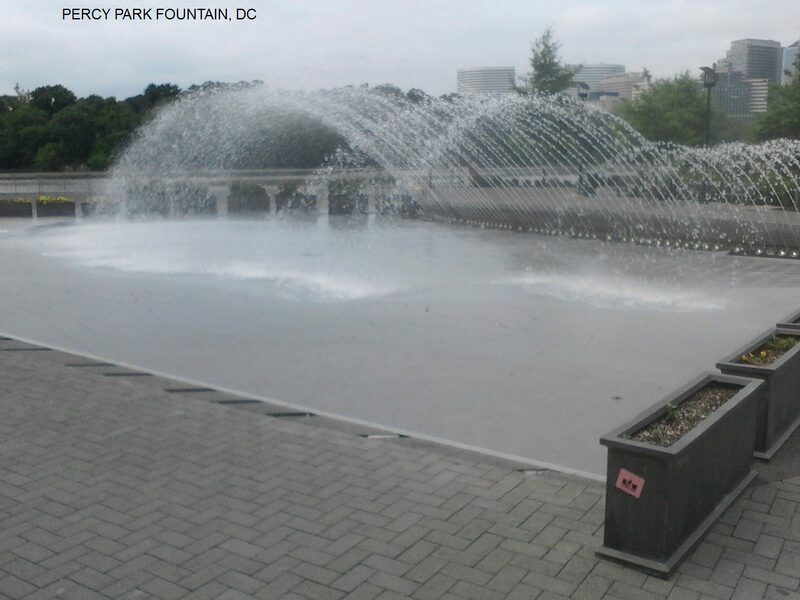 Great place for the whole family to cool off while visiting Washington DC on a hot summer day. Made for water play - safe and fun and free! WEB INFO . Parking can be tough - recommend you go late in the day when you are hot and tired and some of the local folks have gone home.